21/02/2006�� Hi all, went to have a look with my husband at the bugaboo cameleon yesterday. Really love it, had looked it up on the internet but have never seen it up close. 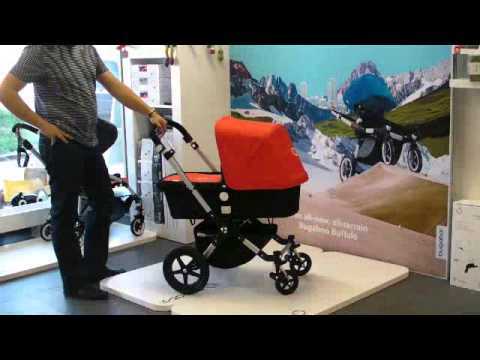 The stroller's safety warning label on the harness is not permanent, as required by the mandatory standard for prams and strollers. Warning may not remain attached to harness, and children may be injured if the harness is not used safely. My bugaboo cameleon chassis won't open and stand upright. I can't seem to lift up the handlebar, and can only see one white button on frame to push but when I try nothing happens.